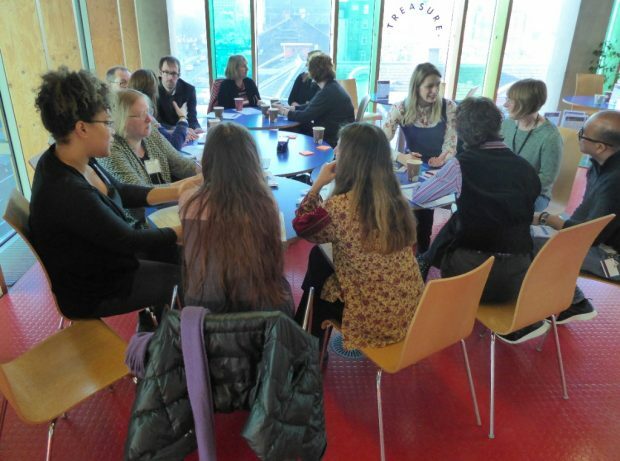 We’ve now completed our short series of Sector Forums (held in Newcastle, London, Bristol and Birmingham) to give people the opportunity to hear more about Libraries Deliver: Ambition and to share their thoughts on delivery of the Taskforce’s actions. I must admit to a sense of relief about no more early morning train journeys for a while! My team is now collecting and collating all the notes of discussions, questions asked, interviews, presentations and workshop sessions and, over the next couple of weeks, we plan to publish a series of blogs which will share that detail. There’s a lot to digest but, before we move on to that, I wanted to share some initial reflections and, most importantly, to thank all those who took part. 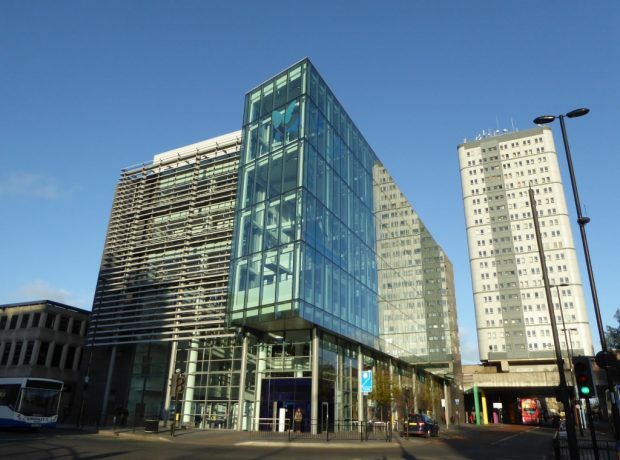 We started on 16 January in Newcastle City library, a venue familiar to us from previous Taskforce visits, and as a location for one of the consultation workshops. Using the same format at each forum, we started with an introduction, during which I talked through the different sections of the Libraries Deliver: Ambition document, and followed with a keynote speech from Rob Wilson. As he couldn’t attend the Newcastle event, this was via a video presentation. 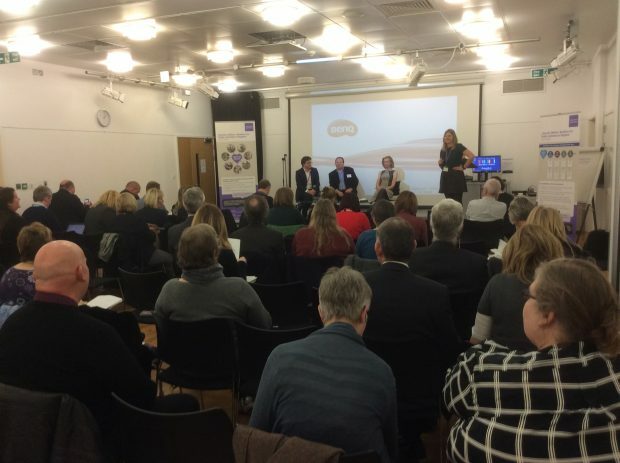 The programme also included the opportunity to ask questions of Taskforce members and, in Newcastle, Iain Varah (Chief Cultural and Leisure Officers Association) and Simon Richardson (DCMS) joined me on the stage. Unfortunately, due to last minute problems affecting one of our presenters, we could only offer 4 workshops - which at least meant people didn’t have the dilemma of having to miss something they were really interested in! Thanks to the presenters who shared their insights or ran workshop sessions to discuss the issues around key topics in Libraries Deliver. Participants heard about mutuals and other delivery mechanisms, making the case for libraries, a core dataset, and designing libraries in the 21st century. Thanks also to the volunteers who supported my team with a range of activities, including taking over our twitter account for the day (thanks to Aude Charillon for setting the gold standard), interviewing participants, making notes during workshops and taking photographs (thanks to Rob Field and Marie Brett). 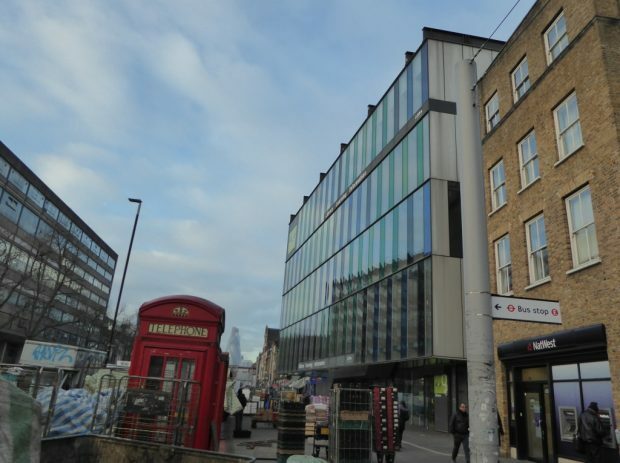 Our next venue was the Idea Store in Whitechapel; another light-filled space - this time with floor to ceiling windows offering clear views of the City of London. Many participants took advantage of the library team’s offer of a guided tour of the building (thanks to Sergio Dogliani and Kate Pitman). 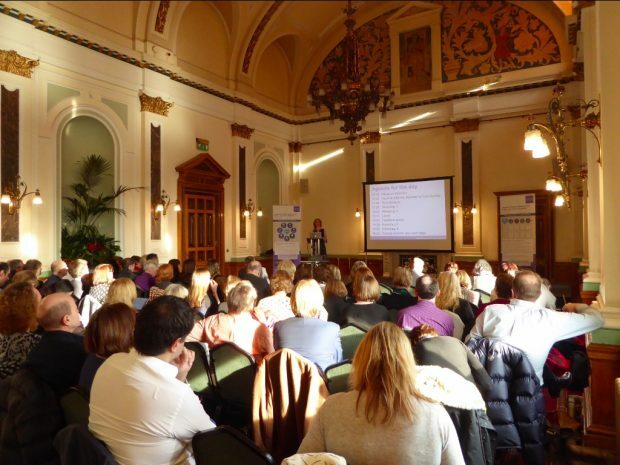 We followed the same format as in Newcastle, although we were able to offer more workshop options. Besides those listed above, these included opportunities to hear more about evidence-led planning (and our plans to create a new Toolkit to support this), and an update on the work led by SCL and CILIP to produce a public library skills strategy - which included the opportunity to prioritise proposed recommendations. And instead of a video, the audience was able to hear from the Minister in person. The panel of Taskforce members was different too. This time, Neil MacInnes (SCL) and Ian Leete (LGA) joined Iain and me on the platform. Thanks are again due to the volunteers who supported the event. Sue Lawson ably took over our twitter account - and we were delighted to see #LibraryAmbition trending! Thanks also to Alice Corble and her colleagues who carried out a number of interviews with participants. We’ll do a later post which will review all the communications work that was done, including engagement online, and the creation of a set of short interviews (vox pops). MShed, in the heart of the regeneration of Bristol’s port, is a wonderful venue for an event. The meeting rooms on the top floor of the museum offer ever changing panoramic views of the city and waterside. The MShed event support team was efficient, the rooms were bright and spacious, and we heard unanimous praise for the refreshments! Workshops were similar to London, but the Taskforce panel was different again. 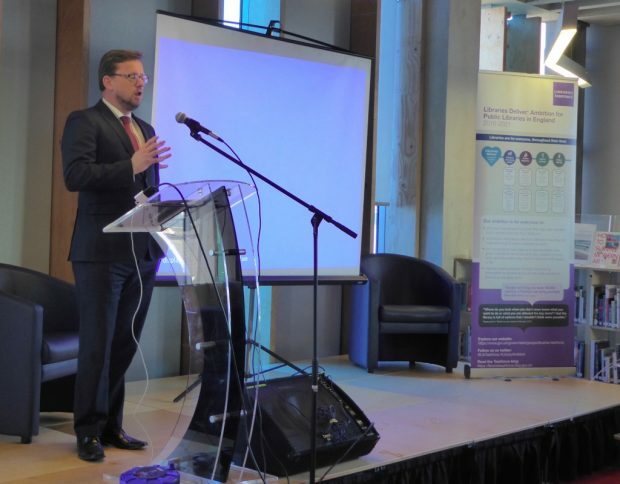 Jonathan Lindley, who delivered the workshops on mutuals, joined Ian Leete and me on the platform as we had received a number of questions about mutuals during previous sessions. Thank you very much to our communications volunteers. Claire Back took over the twitter account and shared many insights into workshop sessions. Leon Bolton and Medi Bernard (and some of Medi’s colleagues) carried out interviews and helped with recording workshop discussions. Our final forum took place on 24 January in the Victorian grandeur of Birmingham’s Council House, the home of Birmingham City Council. 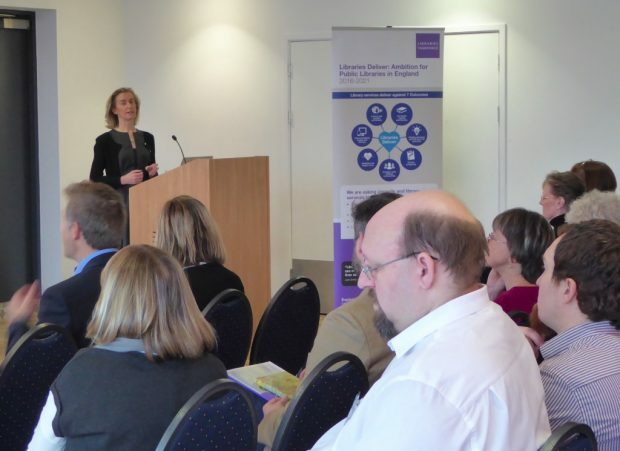 We were able to add a further workshop to the programme, as Jessica Harris (Cultural Commissioning Programme Manager for the National Council for Voluntary Organisations) talked about her experiences of commissioning. We took more detailed notes at these sessions as we knew this was the only place she was able to present, and we’ll share them in a future blog post. For the last panel, I was joined by the Chair of the Taskforce: Paul Blantern, Ciara Eastell (former president of SCL and thus former member of the Taskforce, as well as being the Chief Executive of one of the library service mutuals, Libraries Unlimited in Devon), and we invited Jessica Harris to complete the lineup. The communications volunteers again performed invaluable work: Sue Lawson reprised her social media monitoring role (and once again, #LibraryAmbition trended on twitter). 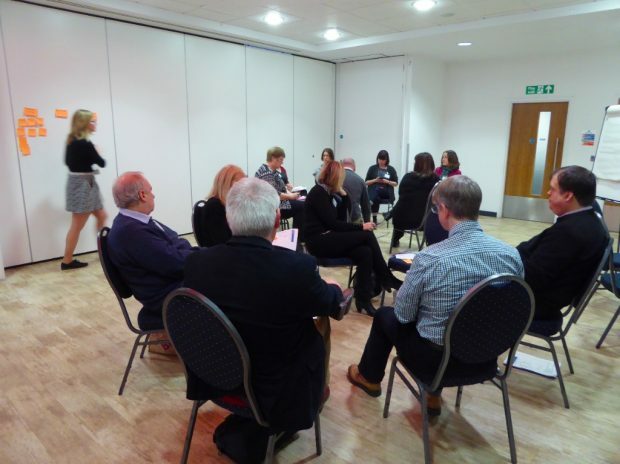 Thanks are also due to Dave Lloyd and Emily Clark, and especially to Tracey Cox as she had originally volunteered to help with communications but, at short notice, was asked to deliver the skills strategy workshop. We couldn’t have run these events without great support from everyone listed above and from our host venues - thanks again to all of them. And thanks also go to all the participants who listened attentively and then freely shared their knowledge and learning during the workshop sessions. Their input was invaluable and is directly influencing the delivery of the work in the Taskforce’s action plan. Finally, thanks also go to my team who ensured everything ran smoothly, despite the usual last minute hiccups, and who made my role as event facilitator so easy. As mentioned at the start of this post, we’ll take some time to collect all the notes and aggregate feedback before publishing a series of blog posts to reflect both the presentations and the discussions that followed. Watch out for these over the next couple of weeks. We did have to postpone the user research session which we originally advertised due to the last minute unavailability of the speaker. We know there was a lot of interest in this topic and we are investigating running a dedicated Masterclass on this. Don’t forget - to be kept informed about our progress, follow us on twitter, or subscribe to this blog via the panel on the right hand side.